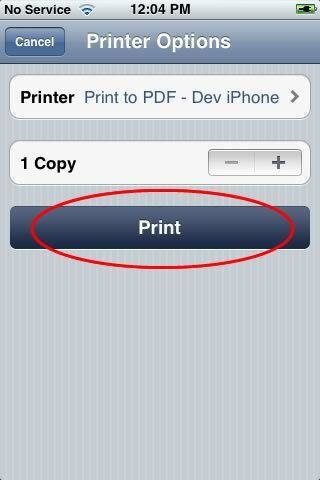 We have found a workaround to bring the ‘Print to PDF’ to show again on iOS5… please read on. 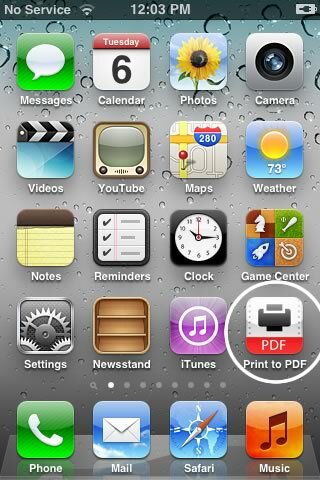 As you probably already know, on August 26th Apple removed ‘Print to PDF’ from the App Store. On August 24th, we received a call from Apple Developer Relations telling us that we are not allowed to use AirPrint as a way to print documents to PDF and for that reason the app could no longer be available on the App Store. This news came as a surprise to us given that the app had been reviewed and approved 3 times already by the Apple App Review Team. Unfortunately, we had to comply with this decision and the app is no longer available for download and we can no longer provide updates to the app. 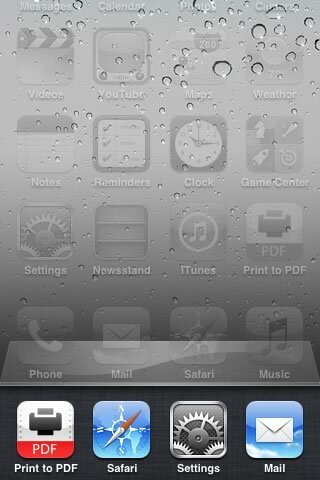 To worsen things, Apple decided to block virtual printers on devices running iOS5. As a result this made the app non functional after installing iOS5 which has been an extremely frustrating issue for us. Not only was the app pulled from the app store but the virtual printer that our app creates to print to PDF is now blocked by the OS. 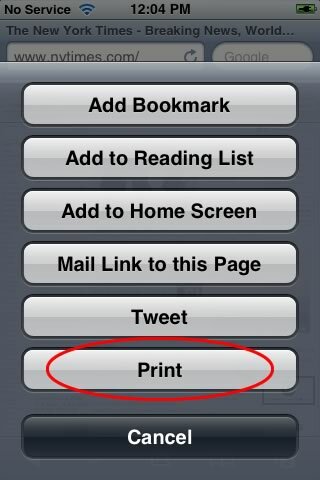 However thanks to some of our super awesome customers we just discovered that there is a way to make the ‘Print to PDF’ virtual printer show up again on the ‘Print’ menu on iOS5. We have tried this on iOS5.0 and iOS5.0.1 and it works well. 2. After the app is launched, close the app by pressing the iPhone/iPad home button, this will send you back to the apps screen. 5. Close the app by touching the small red image on the top left corner of the icon. Wait for 1 or 2 seconds and DONE! 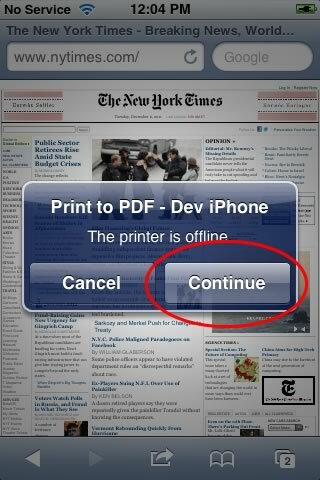 The app should have your printed PDF file available. After this you should be able to continue using the app as before to print web pages, emails and other documents from the Print menu. You may need to repeat this process after 10 minutes of your last print. We know this is not ideal but at least it will allow you to continue using the app on iOS5 and iOS5.0.1. As we mentioned earlier, we are working on a different app that will allow to create PDF’s from emails and public facing web pages. This new app will work in a different fashion than Print to PDF but we hope it will become useful to you as well. We will post something on this page once we release that app.